A Union invasion of northern Arkansas ground to a halt in early 1862 due to logistical difficulties. The alarmed Confederates sent Earl Van Dorn to coordinate the fractious Southern forces to repel the Yankee invaders. 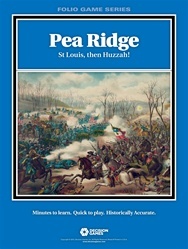 Van Dorn, aggressive but careless, launched a quick offensive that nearly trapped Sam Curtis’ Union Army of the Southwest, until Curtis extricated his army and placed it in a well-entrenched position on the plateau of Pea Ridge. 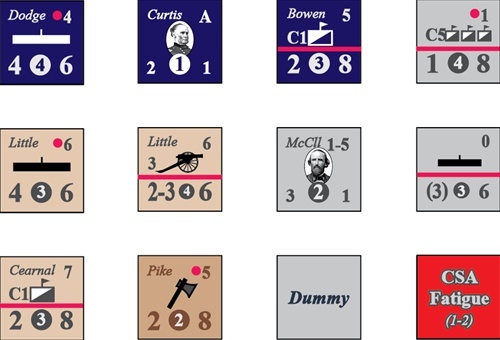 After their rapid march north, the Confederates were exhausted and out of supplies, but Van Dorn nevertheless set them on a grueling night march around Curtis’ position. 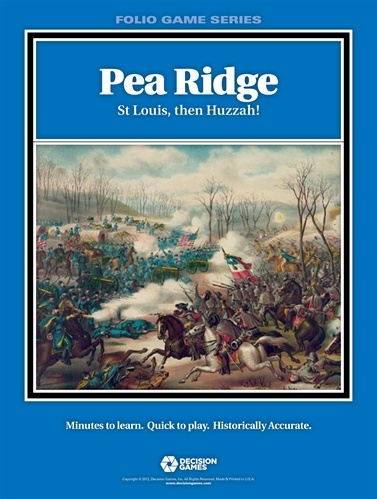 Pea Ridge uses the Musket & Saber system to accurately portray warfare during the American Civil War. All the primary facets of the muzzle-loading era are included. The combat system rewards intuitive play without the need for rifle-counting. There are substantial differences between infantry, artillery, and cavalry: Infantry, tough and resilient, bear the brunt of battle. Artillery can smash attacks or open holes in enemy lines, but is vulnerable and brittle. Cavalry is weak in stand-up combat, but crucial for pursuit and reconnaissance. 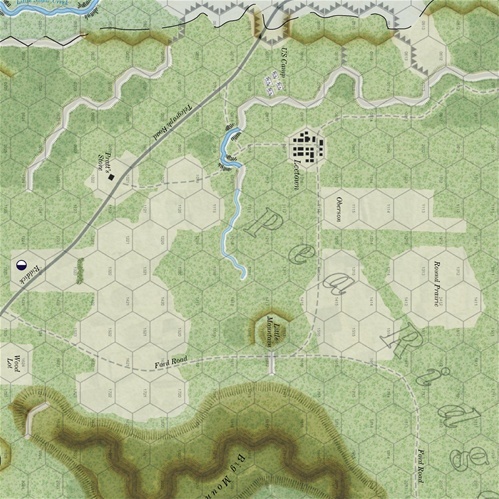 All units are susceptible to rout when weakened, and the fortunes of war can intervene at any time, so players must maintain reserves. Leaders provide an important supplement to unit capabilities, and armies must protect their headquarters and logistical tail or risk deterioration of their mobility and combat power. Winning the battle depends upon deployment, thoughtful maneuver to concentrate at the key points, the proper coordination of arms, careful use of leaders and special units, and an understanding of the strengths and weaknesses of each army.